Dimensions 15.25 inches L. x 7.75 inches H.
Overall Condition Excellent. Please look carefully at the pictures which may also reveal condition and damage. 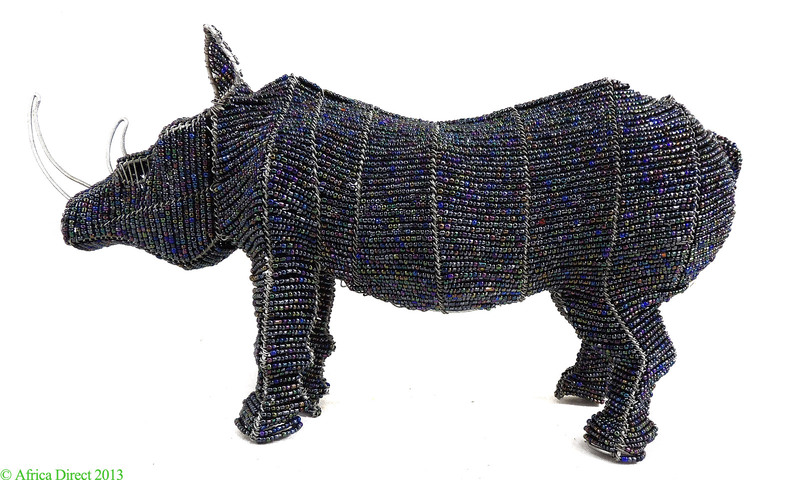 Additional Information: A rhinoceros sculpture made out of shinny tiny beads and metal wire. 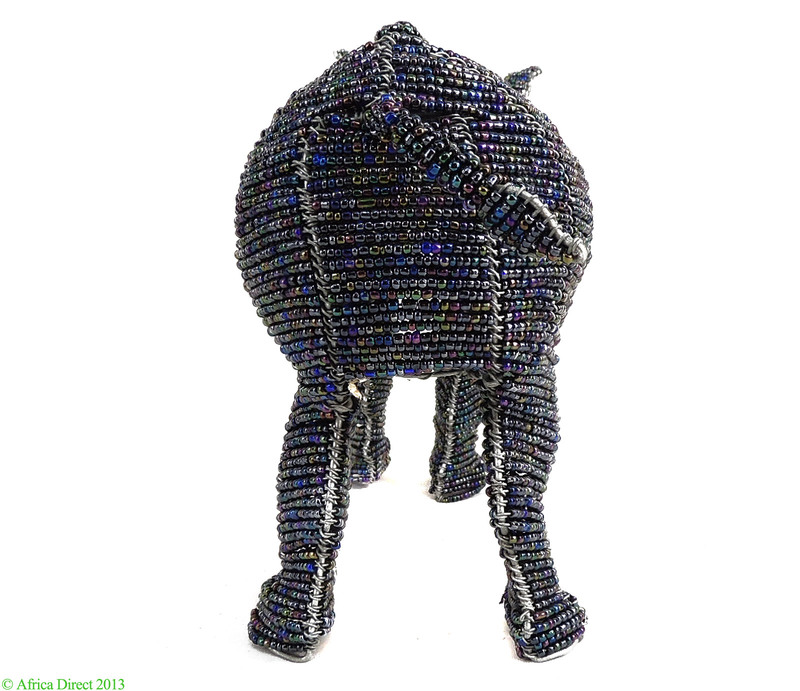 The conception of this piece belong to a contemporary trend of art in Zimbabwe and South Africa using beads, wire and sometimes cloth and many other recycled materials. 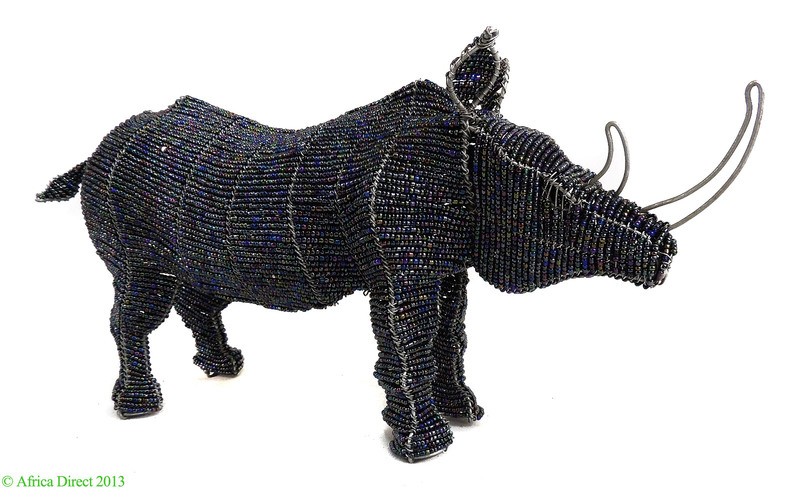 These sculptures are handmade by Pundemari and team in St. Mary's, Zimbabwe. They are essentially make for sale in big cities. 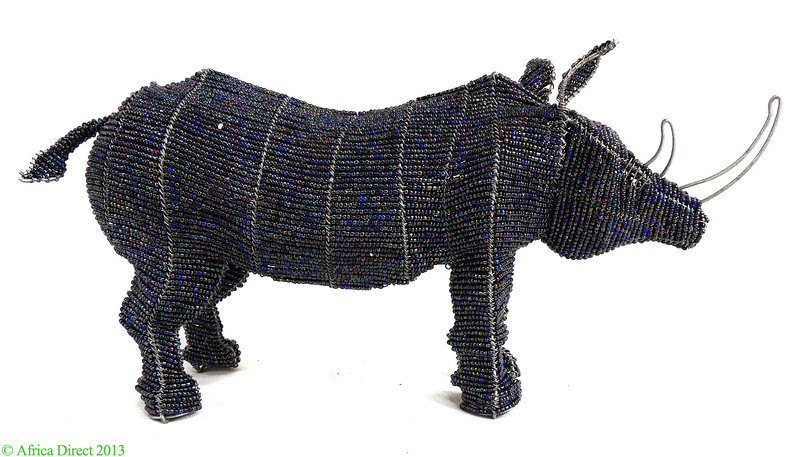 Such sculptures are also made in South Africa.